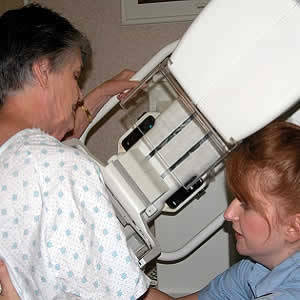 Researchers in Austria have used magnetic resonance tomography (MRT) to detect tissue with measurable active blood supply which indicates an increased breast cancer risk in women. Molecular biologist and radiologist, Barbara Bennani-Baiti and radiologist Pascal Baltzer of the Clinic for Radiology and Nuclear Medicine of MedUni Vienna are exploring whether tissue with active blood supply visible with MRT could indicate a grater risk in those patients without gene mutation. As a result, the researchers concluded that so-called “background parenchymal enhancement” of the breast in these women is not associated with breast cancer. However, for high risk patients, it indicates a clearly increased cancer risk and should be considered in the decision-making process for any preventive measures. MRT is widely considered as the most sensitive method to detect breast cancer because, contrary to the conventional imaging procedures (mammography and ultrasound) it provides functional information on the blood circulation of the tissue. 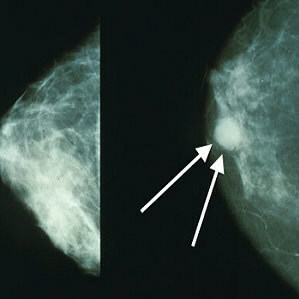 Generally, this examination is applied in high-risk patients on an annual basis, who have an increased risk for breast cancer based on family history or a special mutation (e.g. BRCA 1). In the process, women are initially injected with a contrast medium, which renders the so-called “background parenchymal enhancement” visible in the MRT. It was already possible to demonstrate in these women that severe background parenchymal enhancement, which indicates increased blood supply and thus, for example, a hormonally activated breast tissue, associated with an increased risk of the disease. Bennani-Baiti and Baltzer, together with Matthias Dietzel of the University Clinic Erlangen, took up the issue whether breast tissue with increased background parenchymal enhancement is generally an indicator for an increased risk for breast cancer, and not just in the risk group. They conducted a cross-sectional study and analysed the findings of a group of 540 patients who had been transferred to an MRT for the further clarification of abnormal findings. Ultimtely, only the age was decisive for the risk of breast cancer in this group of patients, who did not have an increased risk for breast cancer due to familial accumulation or known mutations. The study data further showed that very active breast tissue in non-high-risk patients points to a lesser age and thus to a lesser risk for the illness. It is also not necessary for these women to undergo further examinations. 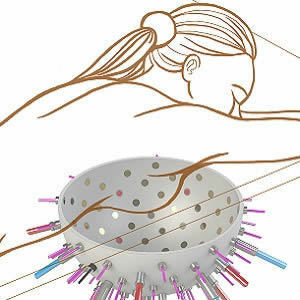 However, with their work, Bennani-Baiti, Dietzel and Baltzer demonstrated the importance of the knowledge of background parenchymal enhancement for high-risk patients for a risk assessment of breast cancer. Their results indicate that the changed breast tissue of high-risk patients is more susceptible to degeneration compared to women without these risk factors.